Contact us with your question about this product. 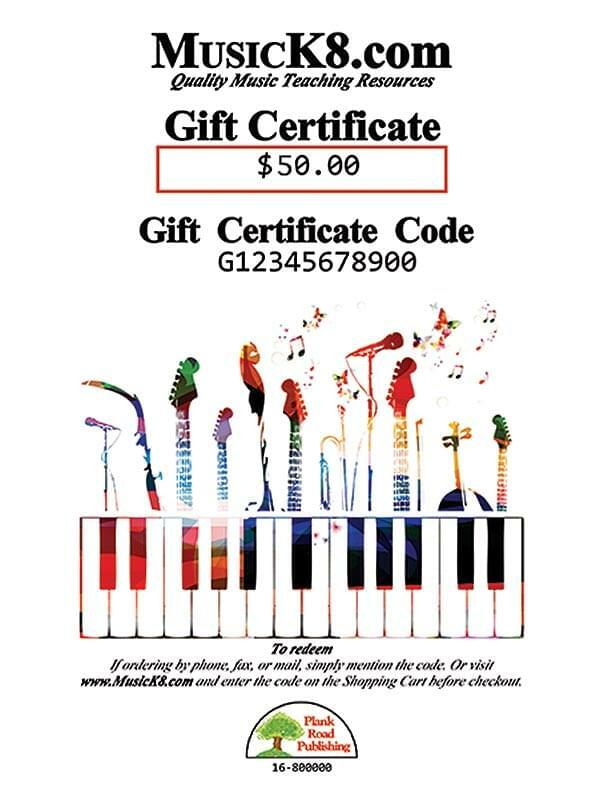 What could be better than a MusicK8.com Gift Certificate for your favorite music teacher? It's the perfect gift for any occasion, whether you're a parent, student, school board member, fellow teacher, or relative. Enter the teacher's shipping information during checkout, and we'll mail this beautiful certificate directly to your chosen recipient. Or, have it sent to yourself and hand deliver it. Either way, you pay no shipping and handling charges for it. The Gift Certificate can be used on any Plank Road Publishing order placed by phone, fax, mail, or online at MusicK8.com. Give the gift of music!